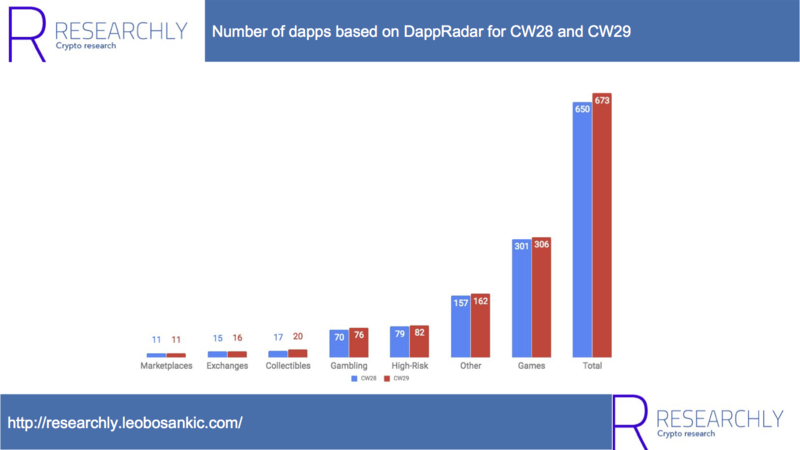 the Dapps trend report for last week (CW29; 15.07.2018 – 21.07.2018) is out. Read the full report online or find the summary below. The Dapp report is part of Researchly’s weekly Blockchain and Crypto report covering ICOs, Dapps, and news sentiment. You can read the full ICO report here and the full news report here.